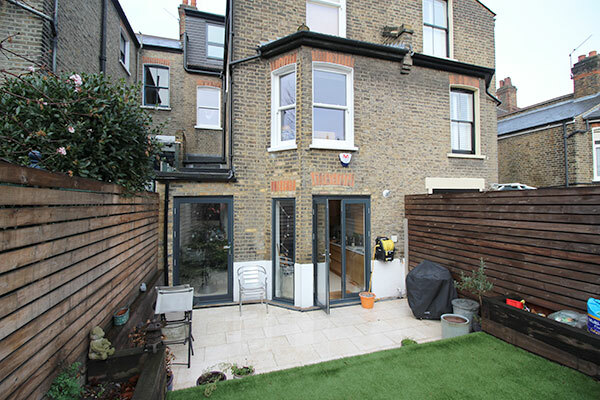 A 3 story victorian terraced house that was in a very poor state at purchase and required complete refurbishment. The loft was converted and extended with a rear dormer to provide a large bedroom space with ensuite on the top floor. 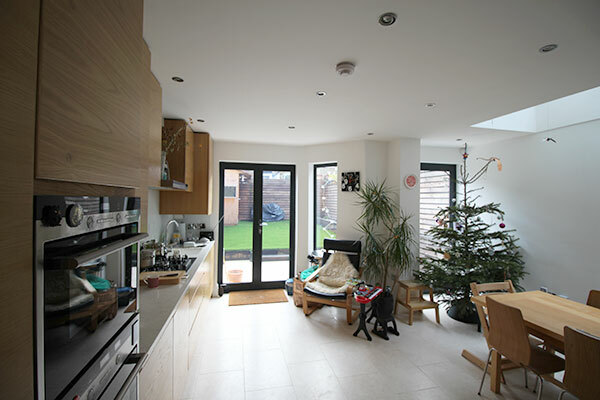 The kitchen was extended out to the side with a side infill extension at ground level. 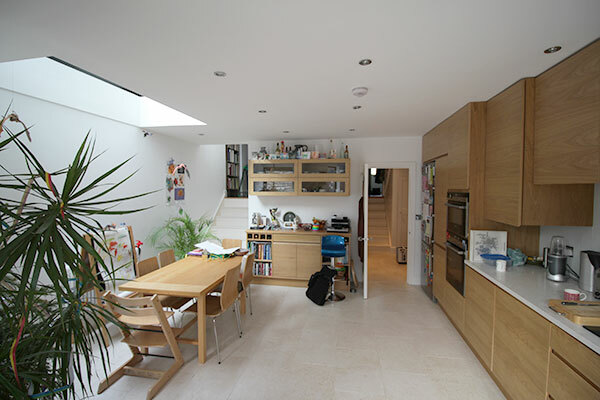 The extension has a flat roof to enable the ceiling throughout the enlarged kitchen to be aligned and to minimise the impact of the extension on the neighbour next door. 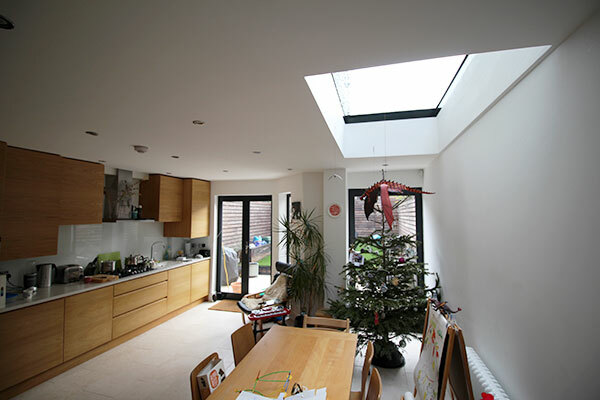 A large flat rooflight and full height glazing looking out onto the garden provides for good levels of daylight and sunlight into the kitchen. Large format porcelain tiles provide a light coloured floor finish. The kitchen is bespoke by a local furniture maker with resin quartz worktops. Private client, completed autumn 2015.